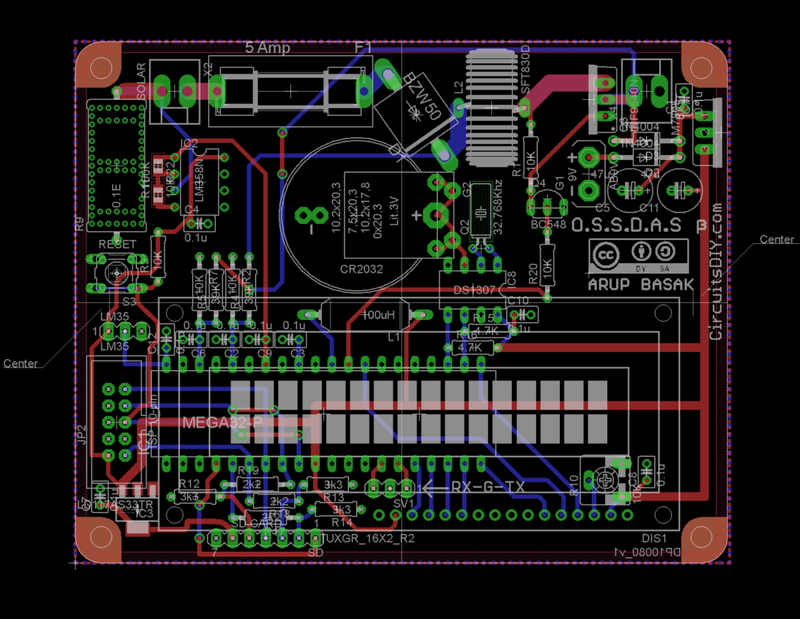 OSSDAS stands for Open Source Solar Data Acquisition System. Current sense through even lower valued resistor and using op-amp to multiply the very low drop voltage. Symmetrical to a low side CSA. Integrated charging control. Charging path from solar panel to battery goes through CSA, FUSE, DIODE, INDUCTOR, and a MOSFET. The MOSFET is driven by the micro controller. Introduced one/two SMD components; capacitors and resistors. 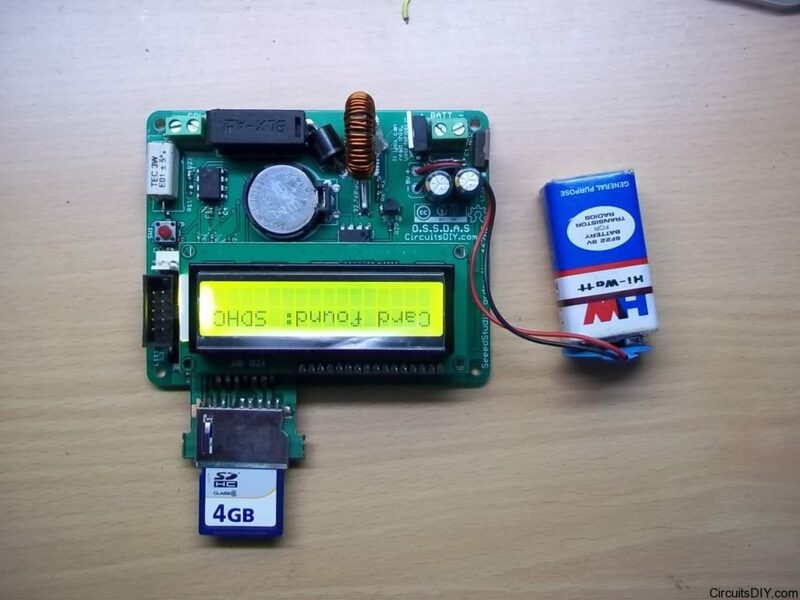 Software/Firmware: A derivative work from the Atmega32 Datalogger by C.C.Dharmani. Status: Not put into production. Many changes are made which includes changing most passives to surface mount devices. Most resistors and capacitors are replaced with 0603 SMD version. Software/Firmware: Work in progress. 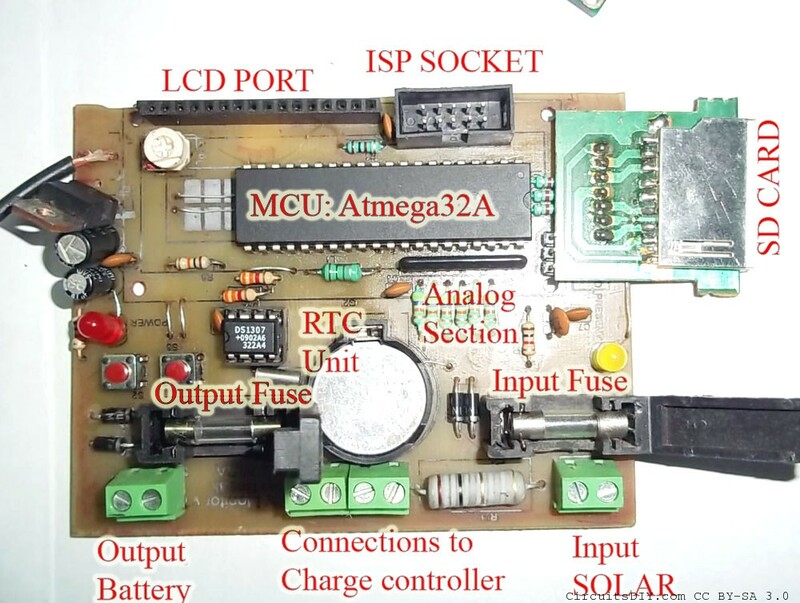 This will be also a derivative work from the Atmega32 Datalogger by C.C.Dharmani. UPDATE#1’st Aug 2012: Software done. Little bug in amperes reading, everything else goes fine. Hope to finish it soon after my exams.